Select one of our hosting packages to start your Composite C1 4.3 site. All of our hosting packages fully support the ability to host Composite C1 4.3 sites. Why you wait longer? Composite C1 4.3 is very end-user friendly and easy to navigate and use when editing content. This is a flexible system with easy setup, easy Windows Azure migration, both file based and SQL Server data support, a lot of free easy-to-install add-ons and a set of premium offerings (corporate website add-ons, support, upgrade services, full warranty licensing). All of this makes Composite C1 a customizable and scalable product, in terms of price, service and freedom. You'll get the best, cheap and reliable Composite C1 4.3 hosting with ASPHostPortal.com. Our hosting plan support automated Composite C1 4.3 installation. Every website is hosted using Isolated Application Pool in order to meet maximum security standard and reliability. 24/7/365 Technical and Email support from our Composite C1 4.3 Experts. Managed Backup / Recovery of customer data. Our company backs up all data daily and is available for recovery at anytime at your request. Fast and secure MYSQL and Web servers give you maximum reliability and performance. We have wide-range experiences with Composite C1 4.3, CS deployments and troubleshooting. ASPHostPortal.com windows hosting is compatible with the Composite C1 4.3 management and collaboration application. 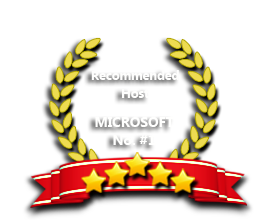 Our Windows Cloud Hosting fully supports DotNetNuke 7.4 hosting. You are more than welcome to try our Free Windows Cloud Hosting before you decide to buy. You can get your Free Cloud Windows hosting account up and running within the next few minutes.